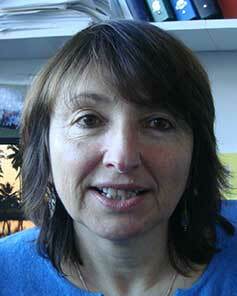 Sylviane Sabo-Etienne is CNRS Research Director at the Laboratoire de Chimie de Coordination in Toulouse, France. In the past few years she has received the following awards: 2010 RSC Frankland award, 2011 Glenn T Seaborg Memorial Lecturer UC-Berkeley award, 2014 SCF Coordination Chemistry Division award, 2015 Mme Claude Berthault award and the Médaille Berthelot from the French Academy of Science, 2018 ScotCHEM Lecture series and invited professor at Kyushu University, Japan. 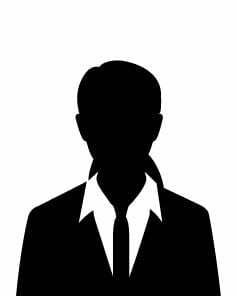 She is member of the advisory boards of Dalton Transactions and ACS Catalysis. Her broad research interests encompass coordination chemistry and organometallic chemistry for applications in the fields of energy and catalysis with a specific focus on transition metal complexes displaying H-H, B-H, Si-H, and C-H bonding modes via agostic and/or sigma interactions. Small molecule activation and hydrogen transfer processes are areas under active pursuit with structure-activity relationships, and the mechanism of the catalytic reactions being integral components of the different projects. Aziz Muzafarov received his PhD degree in Polymer Science from Nesmeyanov Institute of Organoelement Compounds of RAS (INEOS RAS) in 1981. 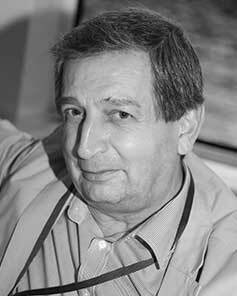 From 1991 till 2018 Aziz Muzafarov was a Head of Laboratory at Enikolopov Institute of Synthetic Polymer Materials of RAS. He received DSc degree (habilitation) in Chemistry from Karpov Institute of Physical Chemistry (1997). Aziz Muzafarov was a Corresponding Member of Russian Academy of Sciences since 2000. Since 2011 he is a Full Member of Russian Academy of Sciences and a Head of Section of Chemical Sciences, Department of Chemistry and Material Sciences of Russian Academy of Sciences since 2017. He is a Head of KA Andrianov Laboratory at INEOS RAS since 2011. From 2013 till 2018 he served as the Director of INEOS RAS. 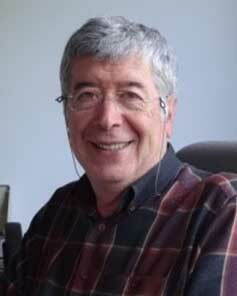 His main research interests include new polymeric forms, structure – properties relationship, supramolecular organization, organosilicon compounds, hybrid organic-inorganic structures, active media concept, organoalkoxysilanes, chlorine-free technology, functional metallosiloxanes, dendrimers, hyperbranched polymers, multiarm stars, macromolecular brushes. Francesc Teixidor obtained his PhD in Chemistry at the Universitat Autònoma de Barcelona (U.A.B.) and pursued postdoctoral research at the Univ. of Michigan and Univ. of Bristol. He was appointed Assistant Professor at U.A.B. in 1982. In 1987 he got an Associate Professor position at the Spanish Council for Scientific Research (CSIC) at the Materials Science Institute (ICMAB). Since 1999 he holds a Full Professor position at the same Institute. His research interests are in the chemistry, particularly in the design and development of practical and high throughput methods of icosahedral boron clusters derivatization, chemical, structural and electrochemical characterization in order to apply boron cluster compounds in molecular materials with particular emphasis in conducting organic polymers, sensors, energy storage, solar fuels, electron transfer, catalysis, semiconductor NPs (Quantum Dots, Quantum Rods, Quantum Rings, Quantum Tetrapods), Magnetic NPs, among others. Speech Title: Why scientists forget boron clusters? Guy Bertrand studied chemistry at the University of Montpellier and received his PhD from the University Paul Sabatier in Toulouse. 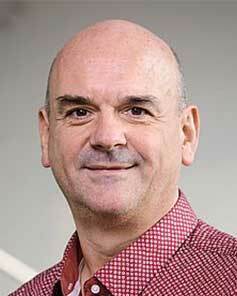 After being a CNRS group leader (French National Center for Scientific Research) at the University of Toulouse, and then at the Laboratoire de Chimie de Coordination du CNRS, he has been the Director of the Laboratoire d’Hétérochimie Fondamentale et Appliquée at the University Paul Sabatier from 1998 to 2005. From 2001 to 2012 he served as the Director of the UCR/CNRS Joint Research Chemistry Laboratory that he created, and since July 2012 he is Distinguished Professor and Director of the UCSD/CNRS Joint Research Chemistry Laboratory at the University of California at San Diego. He is a member of the French Academy of Technology (2000), the Academia Europaea (2002), the European Academy of Sciences (2003), the French Academy of Sciences (2004), and is a Fellow of the American Association for Advancement of Sciences (2006). He has recently received the Sir Ronald Nyholm Medal of the RSC (2009), the Grand Prix Le Bel of the French Chemical Society (2010), the ACS Award in Inorganic Chemistry (2014), the Sir Geoffrey Wilkinson Award of the RSC (2016), and the Sacconi Medal of the Italian Chemical Society (2017). 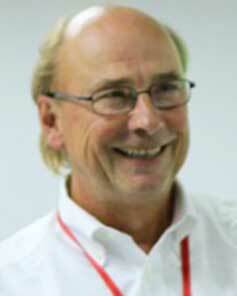 He is one the Associate Editors of Chemical reviews, and a member of the Editorial Board of several journals. Torben R. Jensen received a Ph.D. degree in materials chemistry at University of Southern Denmark, Odense in 1999 and did postdoctoral research at Risø National Laboratory and DESY, Hasylab, Hamburg. 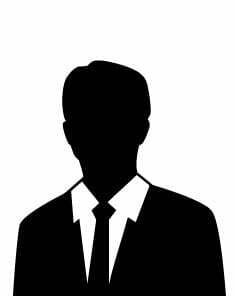 He was awarded a Steno research stipend (2002) by the Danish research council and a Carlsberg research stipend form the Carlsberg Foundation in 2005. Torben became Associate Professor at Department of Chemistry and the interdisciplinary nanoscience center (iNANO) at Aarhus University 2002 and Professor of Inorganic Chemistry 2016. He received a doctor of science degree (D.Sc.) from the faculty of science and technology at Aarhus University in 2014 and was awarded the Hydrogen Energy Award in Japan 2016. His research interests are focused on synthesis, structural, physical and chemical properties of new inorganic materials, mainly as ‘energy materials’ with utilizations for novel batteries or for solid state hydrogen storage. He is a frequent user of synchrotron X-ray and neutron radiation for materials characterization and has developed new sample environments for investigation of solid gas reactions. Lyndon Emsley completed a PhD at the Université de Lausanne doing NMR spectroscopy of solutions with Geoffrey Bodenhausen, and then moved to the University of California Berkeley as a Fellow of the Miller Institute for basic Research in Science, working with Alex Pines, where he was introduced to solid-state NMR. After spending 20 years at the Ecole normale supérieure in Lyon, where he notably led the project around the world’s highest field high-resolution NMR spectrometer, operating at 1 GHz, he moved to the EPFL in Switzerland 2014. His research centers on the development of new NMR spectroscopy experiments to determine the atomic-level structure and dynamics of complex materials and molecular systems, to solve a range of problems across disciplines. He has received a series of awards and honors, and is currently an Associate Editor of the Journal of the American Chemical Society. 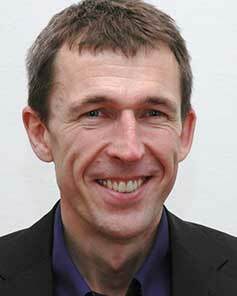 Simon Aldridge is Professor of Chemistry at the University of Oxford. Originally from Shrewsbury, England, he received both his BA and DPhil degrees from the University of Oxford, the latter in 1996 for work on hydride chemistry under the supervision of Tony Downs. After post-doctoral work as a Fulbright Scholar at Notre Dame with Tom Fehlner, and at Imperial College London (with Mike Mingos) he took up his first academic position at Cardiff University in 1998. He returned to Oxford in 2007, being promoted to professor in 2010. Prof Aldridge has published more than 200 papers to date and is a past winner of the Dalton Transactions European Lectureship (2009) and the Royal Society of Chemistry’s Main Group Chemistry (2010) and Frankland Awards (2018). He was University Visiting Professor at Monash University (Melbourne) in 2012 and Distinguished Lecturer at HKBU in 2014; in 2018 he was invited lecturer of the Organometallic Chemistry Division (GEQO) of the Spanish Royal Society of Chemistry (RSEQ). 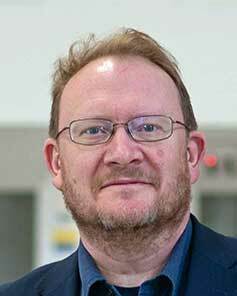 Prof Aldridge’s research interests span main group and transition metal organometallic chemistry, and in particular the development of compounds with unusual electronic structure, and their application in small molecule activation and catalysis. During his carrier, Prof. Tokitoh has served as Guest Professor, Institute for Molecular Science, Japan (2001-2003); Visiting Professor, TU Braunschweig (2004-2007) and Universität Bonn, Germany (2013-2015); Director of ICR (2008-2012, 2014-2018); Director of Kyoto University Research Coordination Alliance (KURCA; 2018-present); Editor-in-chief, Bulletin of the Chemical Society of Japan (BCSJ; 2013-2016); vice-President, The society of Physical Organic Chemistry, Japan (2011-2012, 2016-2018); President, The Society of Silicon Chemistry, Japan (2016-2018); and President, The Society of Physical Organic Chemistry, Japan (2018 Sept–present). He is currently serving as a member of international advisory boards of International Conference on Heteroatom Chemistry (ICHAC), International Symposium on Silicon Chemistry (ISOS), International Symposium on Inorganic Ring Systems (IRIS), International Conference Coordination and Organometallic Chemistry of Germanium, Tin, and Lead (ICCOC-GTL), and Asian Silicon Symposium (ASiS). 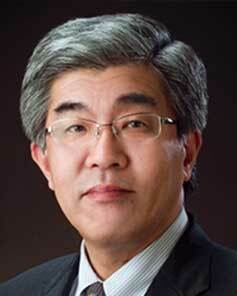 Prof. Tokitoh has been a recipient of many awards including Progress Award in Synthetic Organic Chemistry, Japan (1992); Progress Award in Silicon Chemistry, Japan (1996); Japan IBM Science Award (1998); Chemical Society of Japan Award for Creative Work (2003); and Alexander von Humboldt Research Award (2003 and 2013). His main research interests include main group and organometallic chemistry, especially the creation of novel bonding and structures of heavier main group elements and the elucidation of their unique structures and properties. 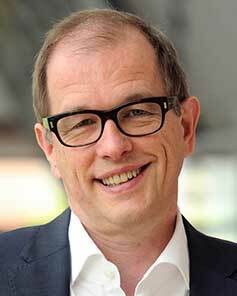 Matthias Driess is a full professor of metalorganics and inorganic materials at the Department of Chemistry of Technische Universität Berlin since 2004. He obtained his Ph.D. degree in 1988 and completed his habilitation at the University of Heidelberg (Germany) in 1993. He served for 11 years as spokesperson of the Cluster of Excellence UniCat and is now deputy of the Cluster of Excellence UniSysCatCat, director of the UniCat-BASF joint laboratory (BasCat), vice-chair of the Einstein Centre of Catalysis (EC2), and director of the Chemical Invention Factory (CIF) in the Berlin area. His research efforts are devoted to molecular and solid state functional materials for small molecule activation, energy storage and catalysis. This includes low-valent silicon compounds which serve as multifunctional entities with and without the presence of transition-metals in small molecule activation. He has received several awards, including the Alfred Stock Memorial Award of the German Chemical Society in 2010 and the Wacker Silicone Award in 2011. He is a member of the German National Academy of Sciences (Leoplodina) and of the Berlin-Brandenburg Academy of Sciences and Humanities.